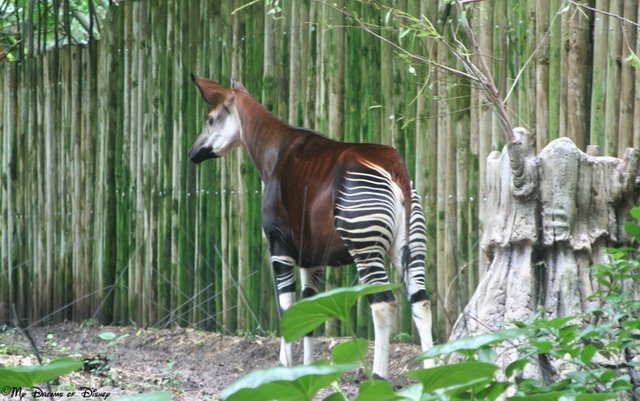 The Okapi are part of the animals you can find and learn about at the Pangani Forest Exploration. Welcome to the Animal Kingdom! 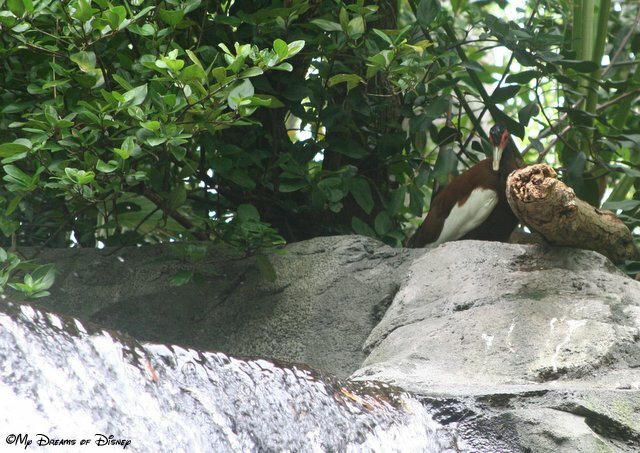 It is #Day61 in our #DisneyWorldCountdown, and for this day, we are taking a look at the Pangani Forest Exploration, a walking path right over by Kilimanjaro Safaris! This 3/8th of a mile walking trail has areas to show you more about the gorillas, hippos, and birds that you will encounter here, as well as other animals such as our friend the Okapi. To be honest with you, this isn’t really an attraction that we do very often. I think so often we are so focused on the Safari ride that we don’t think about this until we have gotten off and are already over in Asia. However, it’s attractions such as this that could cause you, should you decide to embark on them, to extend your day at Animal Kingdom from being a half day park like it has the reputation for being and turning it into a full day park. This bird is the Snowy-crowned Robin-chat. 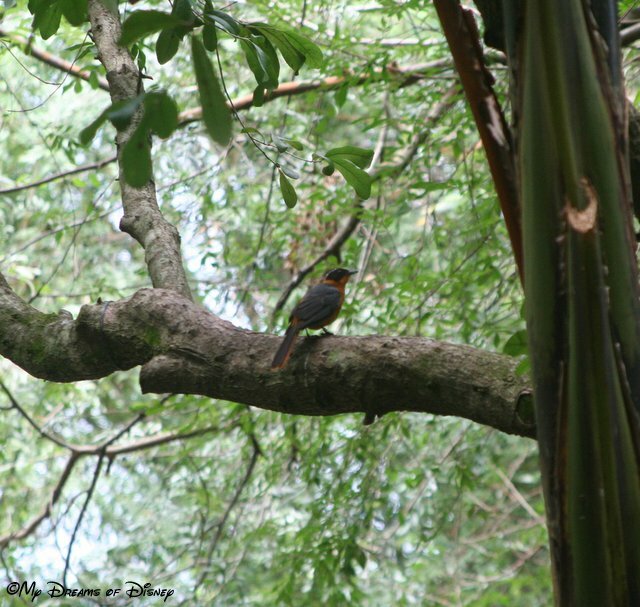 I had to do some serious cropping to get to a point where you could see the Snowy-crowned Robin-chat bird. It’s funny, because I had no idea what these creatures were, but over on Wikipedia I found an article about the Pangani Forest Exploration and it had links to some of the animals you would find here. So here I am, clicking on each link to see if it matched my photo — this one did, and that’s why I think it is the Snowy-crowned Robin-chat. While I think I knew the name of the previous bird, this one has me stumped! Thank you for stopping by today! I hope you enjoyed your look at the Pangani Forest Exploration!